Enjoy these links to many, many doggy resources. 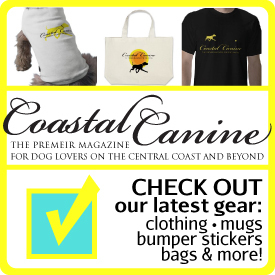 If you know of a website that should be included here please email us at links@coastalcaninemag.com. National website for adoptable animals. Great Places on California's Central Coast to find a new family member to love. International website for adoptable animals. 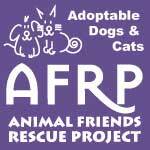 Comprehensive website of adoptable animals. Search by zip code, by shelter, or by breed. Internationally known telepathic animal communciator and grief counselor. A German Shepherd and a Grizzly Bear play at Earth Fire Institute. The amazing story of the friendship of Suryia and Roscoe, an orangutan and a hound dog. The smartest dog ever recognizes 340 words. Carolyn Scott and Rookie, the Golden, do a fabulous dance freestule routine to "You're the one that I want" from Grease. I love this video! List of organizations that can help pet guardians with financial need cover emergency medical expenses or other lifesaving medical treatment. Provides financial assistance grants to animal guardians in Monterey and Santa Cruz counties, who are unable to cover some or all of the cost of their pet’s medical care. Provides financial assistance grants to animal guardians in Monterey County, who are unable to cover some or all of the cost of their pet’s medical care. Missy Seu, a freelance writer, blogs about everything dog. Create your own customizable pet web page, join forums, read blogs, find out about special events, find adoptable dogs. 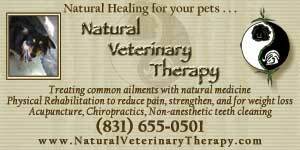 Info on dog names, dog training, dog pictures, dog breeds and more. Also a dog website directory and active Dog Forums. Add photos, slideshows, videos, and brag away! You can also Create a Profile Page for your dog, read about Celebrities and their Dogs, and more! A place where pet lovers can meet each other and blog about their pets, as well as find information on pet care, pet products. Resources for people who love, grieve, and serve animals. Grief support, compassion fatigue resources, books, teleconferences, gifts. Author of "The Courage to Grieve" and "You Don't Have to Suffer. Walking tour of Carmel, CA with your dog. Here you can find dog-friendly places to hike with your dog. Each hike listed is accompanied by photos of the hike and views! Coastal Canines directory of pet friendly walks and hikes. Interactive site with places to eat, play, and stay with your dog. Add a spot, review a spot, or just find a spot. A collective of Santa Cruz, California dog guardians who walk together every Sunday. Scott Broecker, photographer for Coastal Canine Magazine, offers pet photography in Monterey and Santa Cruz Counties. The Doggie Gazette was started by the dogs of the beach at Carmel-by-the-Sea. The Gazette now includes reporters from all over the country. Canine news and reviews; must-have new products, toys and accessories; training tips and recipes; heart-warming stories; rescue tales; and more! Uunbiased Dog Food Reviews, Dog Care Advice and Dog Training Tips. From agility to making your own dog food, their canine experts will explain it all. California Dog features a listing of the Golden State's finest boutiques, trainers, groomers, daycares, boarding, veterinarians, pet sitters, food and treats,etc. There is nothing like a low, low tide for you and your dog to enjoy a huge stretch of beach for romping and playing. The Monterey Bay Dog Training Club has a highly qualified staff of professional trainers and offesr a variety of classes. DogTrekker has checked out the best places in Northern California for you and your pup to stay, eat, hike, swim and play. Listings of dog-friendly hotels, restaurants and activities, and a weekly newsletter. Travel ideas with your dog from Los Angeles to New York. Up-to-date pet policies for nearly 30,000 hotels and campgrounds in the US and Canada. Local travel blog, with info about lodging, places to eat, dog parks, beaches, wineries, shops, activities for you and your dog. Suite 101.com has an easy to use extensive database of informative pet related travel articles. 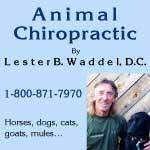 The most extensive site on using therapeutic grade essential oils with animals that we have seen. Everything from medical information and advancements, to original lifestyle and human interest stories, to breaking news and general wellness information.